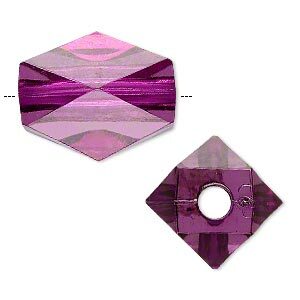 Bead, acrylic, purple, 22x14mm faceted tube. Sold per 100-gram pkg, approximately 25 beads. 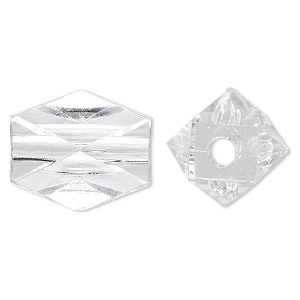 Lightweight acrylic faceted tubes are an affordable alternative to glass beads and gemstones. 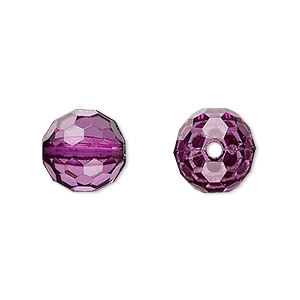 With colorful faceted surfaces, these beads lend a touch of sparkle to jewelry designs. Due to the manufacturing process, there may be some sharp edges that file down easily. Size, shape and colors may vary slightly. Testing for colorfastness is recommended. 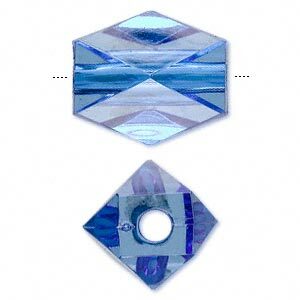 Bead, acrylic, blue, 22x14mm faceted tube. Sold per 100-gram pkg, approximately 25 beads. 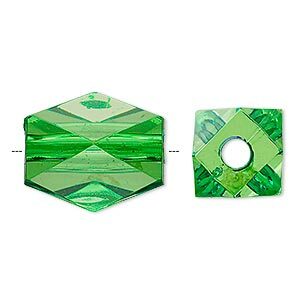 Bead, acrylic, green, 22x14mm faceted tube. Sold per 100-gram pkg, approximately 25 beads. 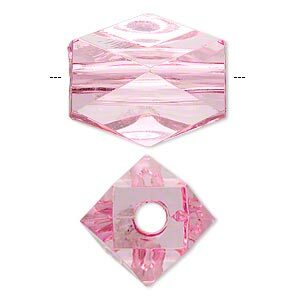 Bead, acrylic, pink, 22x14mm faceted tube. Sold per 100-gram pkg, approximately 25 beads. 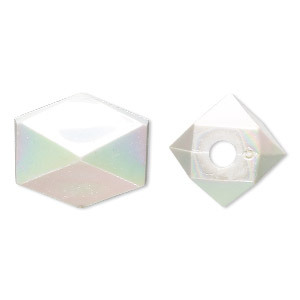 Bead, acrylic, white AB, 22x14mm faceted tube. Sold per 100-gram pkg, approximately 25 beads. Bead, acrylic, clear, 22x14mm faceted tube. Sold per 100-gram pkg, approximately 25 beads. 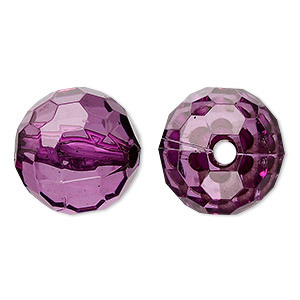 Bead, acrylic, purple, 12mm faceted round. Sold per 100-gram pkg, approximately 100 beads. 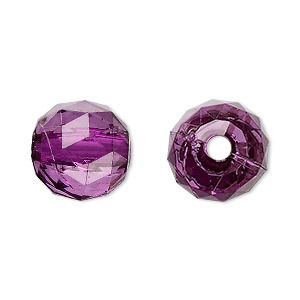 Bead, acrylic, purple, 20mm faceted round. Sold per 100-gram pkg, approximately 20 beads. 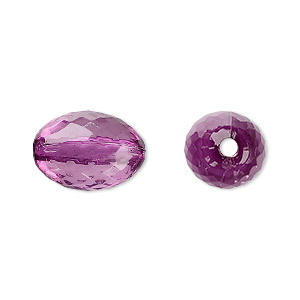 Bead, acrylic, purple, 16x11mm faceted oval. Sold per 100-gram pkg, approximately 80 beads. 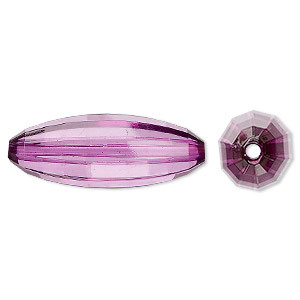 Bead, acrylic, purple, 33x12mm faceted long oval. Sold per 100-gram pkg, approximately 30 beads.